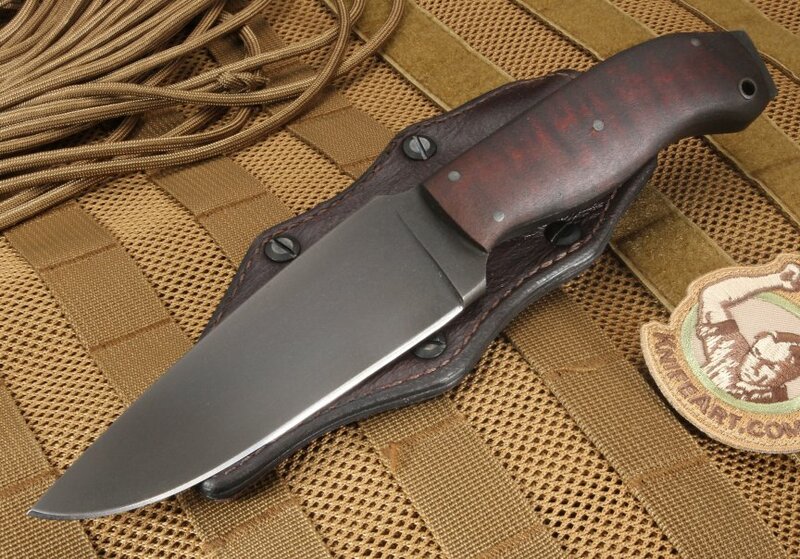 The Daniel Winkler Striker knife has razor sharp 80CRV2 carbon steel with flat grinds. 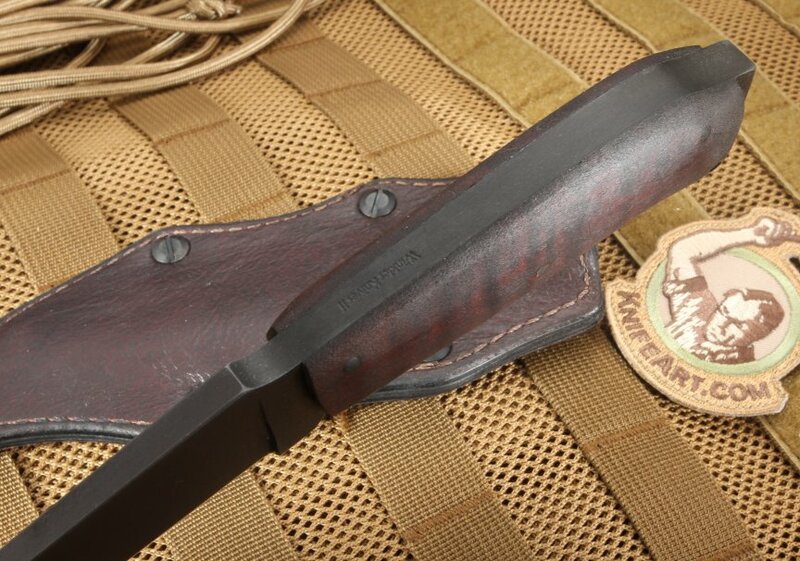 The Winkler Striker Knife has a black caswell finish on the blade to help with rust prevention. This Winkler knives II has custom features like the full tang for balance. The tang on this Striker model extends past the base of the handle for any hammer needs you may come across. Lanyard hole gives you the option to secure the knife in your hand. 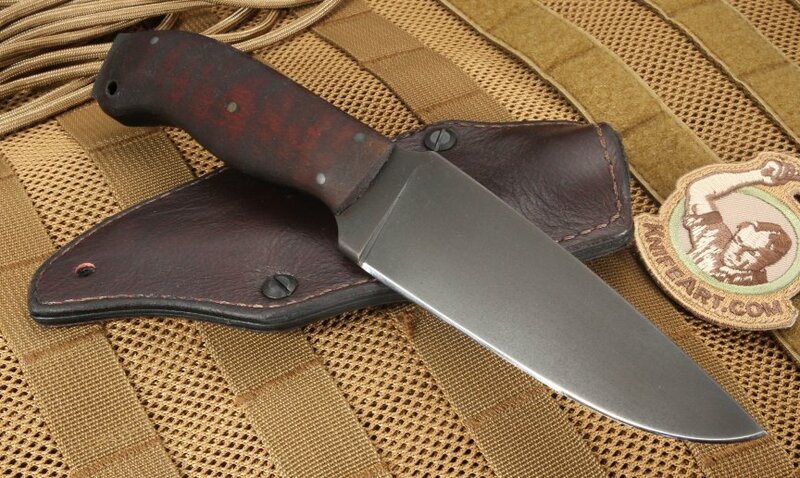 The blade shape is a classic drop point with a cutting edge surface of 5". Curly maple handle scales give the handle a warm and natural feel. 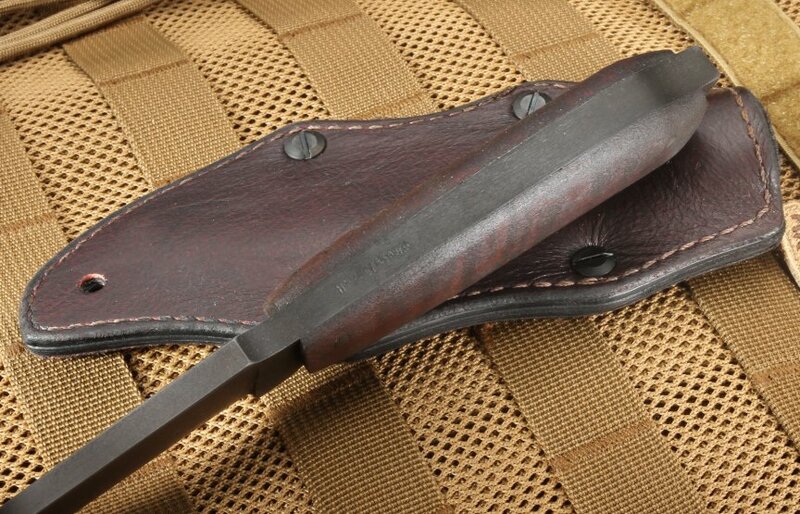 Nice top quality leather sheath is kydex lined. The WKII Striker does not disappoint. It is all business. The fit, form, balance, weight and look are impressive. The sheath fits the knife like a glove. I have only superlatives to describe the knife and sheath. The cost is breath-taking too, but worth it. I cannot wait to use this knife during this upcoming hunting season. The knife has an incredible balance to it. Not too heavy, not too light. Not too big, and not too small. Fits great in the hand. Good grip. Very sharp. The sheath holds it very well with a nice sturdy adjustable belt clip. Received the knife in 3 days with free shipping...I'm very impressed with this company. Of all of the Winkler II knives I have owned or handled, this is my favorite. This is one tough knife! The weight and balance are perfect. The handle feels incredible, and it is a work of art.